The tentacles of this Octopus holds the tendrils of his ladies hair securely with the attached pick to slide thru its tentacles grasp. 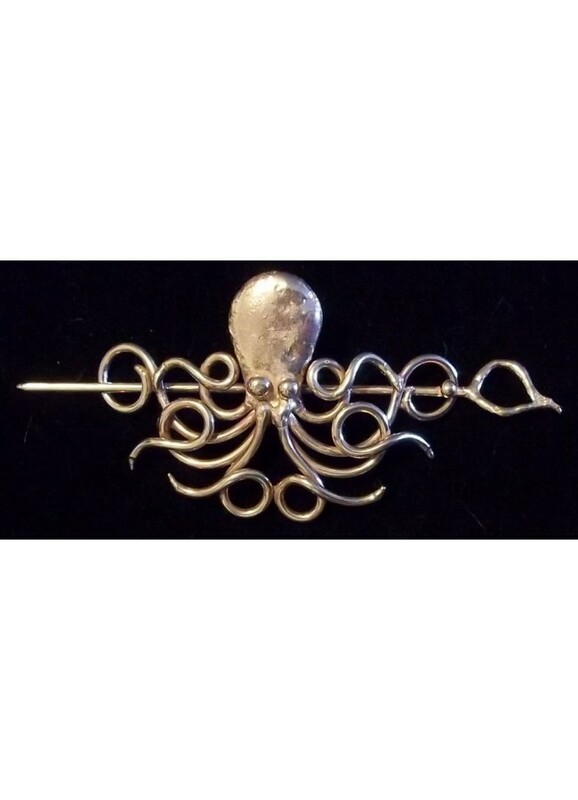 Unique bronze octopus design hair barrette is hand made and just about 3 1/2 inches long. It has a bronze pick that slides thru the barrette thru your hair to hold it securely in place. Works well for just about all hair textures. 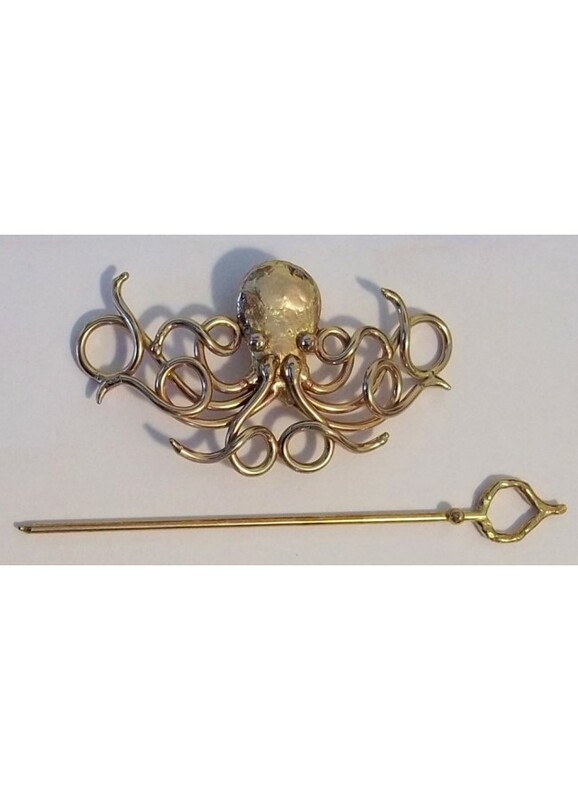 Item Number: BZ-OCTOBAR | Approximate Size (Inches): 3.50 wide x 0.50 deep x 2.50 high | Approximate Shipping Weight: 1.00 lbs.